U.S. Treasury Secretary Steven Mnuchin wil not attend next week's investment conference in Saudi Arabia, as the Trump administration awaited the outcome of investigations into missing Saudi journalist Jamal Khashoggi. Mnuchin announced the decision following a meeting with President Donald Trump and Secretary of State Mike Pompeo. 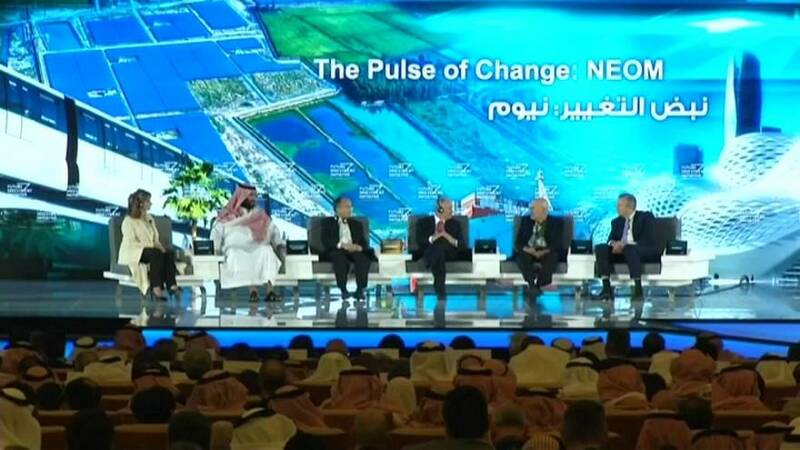 Dubbed the "Davos in the Desert' the event was set to feature around 150 speakers. When the A-listers started withdrawing from the conference, a page with a list of confirmed speakers has been removed from the Future Investment Initiative website. Mnuchin's decision comes after top financial, trade and foreign officials from Britain, France, Germany and the Netherlands also dropped out. French finance Minister Bruno Le Maire says, "I will not go to Riyadh next week. The President of the Republic has said it very clearly, these facts are serious and we want to know the complete truth." The International Monetary Fund's Christine Lagarde has pulled out of the event recently. When asked last week about her participation, she said: "I have to conduct the business of the IMF in all corners of the world and with many governments." Tens of business executives have also withdrawn for the conference. Among them - bosses of JPMorgan Chase, Ford, MasterCard, HSBC and Uber. Michael Posner, NYU Stern School of Business says, "I think the business community has very clearly said this is not business as usual, expressed concern in a way that really stands in pretty sharp contrast to the way the administration has handled them."